With Prodrive seemingly unable to participate in next year's F1 calendar, the number of teams remains at eleven. Prodrive have not yet announced that they will not compete but it is hard to see how they can put anything together at this late stage. They have mumbled something about "plan B" and speculation has suggested Renault, yet a customer car is a customer car and any constructor's chassis is going to be as illegal for them as the McLaren. I suspect that there will not be eleven teams on the grid in 2008 but only nine. If Prodrive are not allowed to run their suggested customer car, how can Super Aguri and Toro Rosso? Arbitration has still to take place in Spyker's case against these two teams and the result may have some bearing on what happens next year. If Spyker wins, how can SA and STR continue? Even if the case goes against Spyker, there is still the matter of the Concorde Agreement to be sorted out. Now that Williams has dug its heels in, word is that this year's agreement will be extended to cover 2008. But that is what has caused the doubt over Prodrive; if they are not allowed to enter a customer car under the terms of the existing agreement, how is it that STR and SA have managed it? There are just too many uncertainties and imponderables for the problem not to be sorted out now; in fact, it should have been clarified much earlier. At the beginning of this season it was already apparent that a big row was brewing over the matter but the FIA has sat back and let things degenerate into the current confusion. Mosley's blithe assurance that customer cars will be allowed looks rather ignorant now that Prodrive have been scuppered so effectively by a lack of positive action by anyone. So what is going to happen? Must we put our blinkers back on and accept that there is something different about SA's and STR's customer cars that makes them legal but Prodrive's are not? Will we have to let another season of racing go by while waiting for one more court case begun by Spyker's new owners to come to court? The situation is plainly ridiculous and should never have been allowed to get to this stage. If ever there was a time when the FIA needed to clarify matters by over-ruling the Concorde Agreement, this surely is it. It is unacceptable that the governing body is maintaining that customer cars are legal while the agreement says that they are not. Something has to go. Maybe Mosley is hoping that Spyker's arbitration case will sort out the problem for him. But I would not put too much hope in that. It may reach an acceptable compromise between the teams for this year, but that still leaves next season in doubt. If SA and STR are allowed to race in terms of the decision of the arbitration, then surely Prodrive should too. I suppose we are meant to shrug our shoulders and regret that they do not have enough time left to make an alternative arrangement, now that the McLaren deal has fallen through. In fact, not even the arbitration will settle anything. Frank Williams has already stated that he will take the matter of Prodrive's participation to the civil courts if necessary. It seemed a bit strange that he did not see fit to become involved in the case against SA and STR and we are left thinking that he perceives Prodrive as more of a threat to Williams scoring points than SA and STR can be. So many vested interests, so many court cases, so much indecision; is it really an international multi-million dollar sport we are talking about? Why cannot the governing body just rule on the matter and leave it at that? Is it possible that they are too busy pursuing imaginary industrial spies and pandering to spoiled drivers to be bothered with minor matters like who can compete in the sport and who can't? 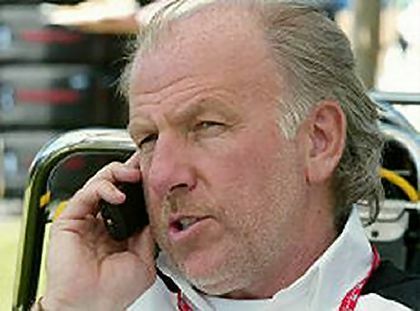 Instead of casting slurs on highly respected members of the F1 fraternity, shouldn't Mosley be writing in clear and large letters for everyone to read: Customer cars are allowed in 2008 and that's that - I have written a rule that says so? But no, it seems sudden rule changes are only valid when necessary to fiddle with championship results. Making sure that teams no longer have to go to court to find out whether they can play or not is minor beer compared to that. You would think they would rule in favor of the customer teams for the good of the sport. The more teams the better, maybe Williams would be unhappy, but three other teams would be thrilled (RB and Honda at least.... maybe Honda will join Williams if SA keeps making them look silly). I though I heard earlier this year that SA was looking into creating their own car next year? I assume this was based on the fact that the Spyker ruling would not go their way? As you have pointed out to me, that the FiA will back mosley (who I refuse to capitalize) no matter how outrageous his decisions (or lack of) are. Do they no realize that they are killing the sport? Where is Brutus when you need a powerful man killed? Alianora makes a good case against customer car teams, Dan, but I think they have to be allowed purely from the point of maintaining diversity in F1. Without the option of buying in a chassis, small teams will not be able to compete and we'll end up with a twelve car grid. SA were making noises about building their own chassis for exactly the reason that customer cars might be ruled illegal but I think it was more of a threat than a possibility. They just haven't got the money and personnel to do it yet. I think Super Aguri's statement earlier that they might make their own car next year was based on the possibility that they could have ended up with the atrocious 2007 Honda next year. Let's face it, that would put pretty much anybody off having a customer car! Now that this is highly unlikely (the new season will most likely need a new car), Super Aguri don't have to worry about that at least. The FIA don't get much option but to accept Max Mosely's decisions. He's got too much power over them for them not to worry about the repercussions. They probably think in terms of "if you build it, they will come", which is true, but only to a certain extent. Diversity would be maintained if a way could be found to make the entry and (especially) the improvement prices of F1 lower. There are no lack of willing would-be team owners (as proved by the line of people trying to get the seat that Prodrive won), it is simply a case of allowing them to be in and in competitively. This would be better achieved by allowing more ways for a car to be quick, rather than forcing all the cars down one narrow alley of performance. I won't bore you with my complete argument against customers cars right now, unless someone in this entry wants me to do so. Does the agreement say specifically that a vehicle must be of a team's own construction? What I wonder is, although it is supposed to be wrong for Prodrive to buy last year's McLaren, Aguri last year's Honda, etc., what if a unique chassis was designed for hire for them and constructed by an outside group such as Dallara, Panoz, Lola, a resurrected Reynard, or anyone else? For that matter, what if the customer chassis is in fact a new and unique build in some way, even if it was constructed by a competing team? I suppose what I'm asking for is a link to the actual Concorde Agreement. I don't know if anyone has the full agreement, from what I gathered its rather secretive. I understand what you mean though, what do you considerer the 'team' and what do you consider the chassis. Outside companies make many of the components on the cars such as the brakes, are they part of the team? How much of the body is considered the chassis? For instance, most teams 'shell' (minus the side pods and wings) are fairly similar, would it be illegal for a team to build there out shell similar to a provider team and then buy front and rear wings the same as they would buy an engine? Or would they be capable of buying blueprints from a team and building their own version of the same car? If a team uses the previous years model from another team, how is that much different from Midland selling their IP to Spyker, granted Midland is no longer a team, but they basically sold there equipment to another team. At this point they should just let anyone who wants to join the sport (and has the money) participate if they can find or build a competitive car, and change the name of the Constructors Championship to the 'Team Championship' and allow team orders again. The agreement is available online but, inevitably, all the relevant bits are hidden from the public. I think the important thing is that it refers to "intellectual property". So, if constructor X designs a chassis it cannot make copies and sell them to another team without selling the intellectual property. This is where Toro Rosso try to squeeze through the gap. Adrian Neal is actually not employed by either Red Bull or Toro Ross; he works for another company set up by Red Bull for the express purpose of designing F1 chassis. STR (and presumably RBR) claim that they ordered their designs from Newey separately and that they are not the same car therefore. They certainly look the same, however, and it is hard to believe that Newey did two designs, one for each team. It looks to me like a way of sneaking Newey's design into both teams without one being the customer of the other. STR seem confident that they will win but I doubt it. Super Aguri could get around the clause by saying that Honda sold them the intellectual rights to the design when they sold them the chassis. How this will stand up in view of the fact that Honda eventually gave up on its 2007 design, reverting to the previous year's car, I don't know. Did they buy the rights back? I doubt that very much. And even if they did, that makes the SA car illegal. Good luck to the arbitrator trying to sort things out, say I. Wouldn't that make both Red Bull team illegal as neither actually employs, and therefore owns the IP. Wouldn't they both be 'customers' of Adrian Newey's company? As for the ads, it all depends on Google Page Rank. As soon as F1 Insight gets its PR from Google, I can get some decent ads on the site. Unfortunately, Google is being unusually slow in getting to its latest PR update this time - it's way overdue and the Google watchers are going mad trying to work out what's going on. Me? I just shrug my shoulders and say, "It's Google - what can you expect?" The Concorde Agreement is available in it's entirety on line - but only the 1998 version, but in this case there's been no relevant changes since then that I know of. The reason the FIA can't just make this problem go away with a rule change is because they can't change the CA - it's a legally binding agreement to which the FIA are only one party. Making changes requires a certain level of agreement between the various parties. The FIA have showed scant regard for what they can do legally in the past, Don. Why should they suddenly become so hesitant to over-rule the CA this time? Because the teams can fight it in a real court, and not the kangaroo FIA one.